Drunken passengers can easily fall overboard, swim near the propeller, lean over the side, or stand up in small vessels, causing vessels to capsize. Sun, wind, boat and wave action intensify the effects of alcohol. Alcohol greatly increases the effects of cold water shock. In some states, if convicted, a boater may be sentenced to jail for up to 6 months or longer and assessed fines of up to $1,000. Two convictions within 7 years could add a jail term of up to 1 year or more. 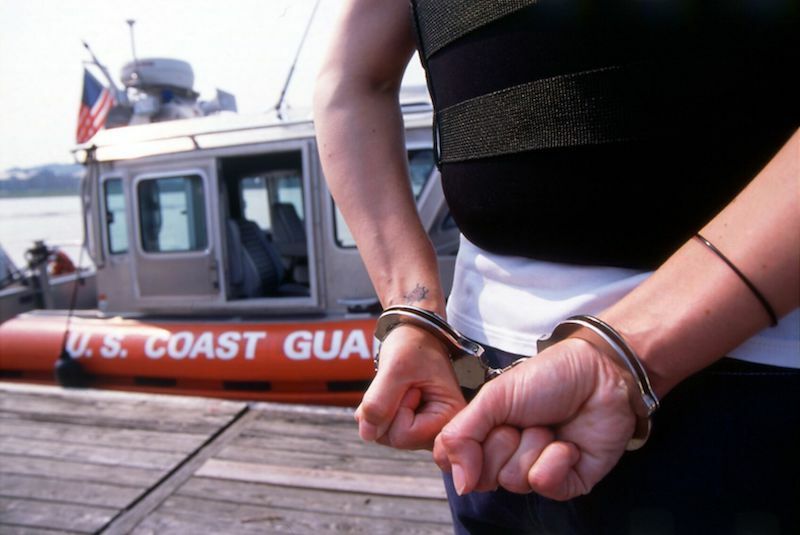 More often than not a boater will be transported to and booked into jail. If a boater is operating under the influence of drugs or alcohol and cause the death of someone they could be charged with felony manslaughter, besides having to live with a guilty conscience for the rest of their life. BAC .01% to .04% – Maybe DUI. Loss of judgment, decreased coordination, thinking dulled, changes in mood and behavior. BAC .05% to .07% – Likely DUI. Operating ability impaired. Walking, speech, and hand movements clumsy. Chance of accident greatly increased. If a boater is a commercial pilot, they will be considered legally under the influence at this level. BAC .08% and over – Definitely DUI. Inhibitions and judgment seriously affected. Responses slowed and dull. High risk of accident. At .08%, a boater is legally under the influence of alcohol.